Single turn wave springs are the basic and most common wave spring product. They are used in the widest variety of spring applications due to their lower cost and simplified design configuration. 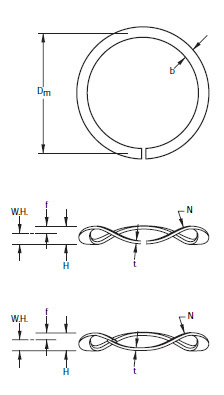 Single turn wave springs provide the most flexibility to designers. There are few restrictions in their design. They are specified in the majority of small axial and radial space constraint applications.